BIOSCREEN is a screening-level model developed for and distributed by the U. S. Environmental Protection Agency (EPA) that simulates remediation through natural attenuation of dissolved hydrocarbons at petroleum fuel release sites. BIOSCREEN is also routinely used for simulating the movement of a wide variety of dissolved solutes in groundwater. 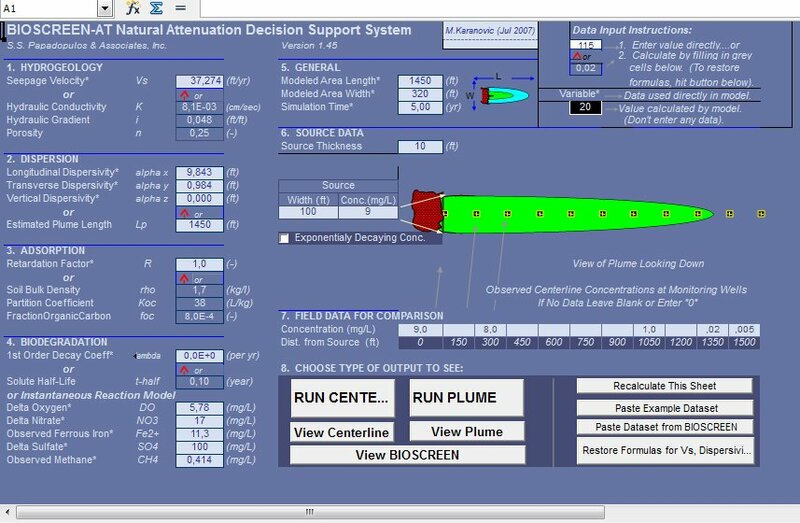 The software, programmed in the Microsoft ExcelTM spreadsheet environment, uses the Domenico analytical solute transport model for solute transport in three-dimensional porous media. The Domenico model has the ability to simulate advection, dispersion, adsorption, and aerobic decay as well as anaerobic reactions that have been shown to be the dominant biodegradation processes at many petroleum release sites. BIOSCREEN Version 1. 4. BIOSCREEN as distributed by the EPA, only provides this Domenico analytical solution to the solute transport equation. This analytical solution is an approximate solution to the solute transport equation that, under some circumstances, produces solutions that differ significantly from the exact solution to the solute transport equation. 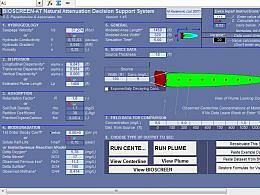 * BIOSCREEN-AT download link provides freeware version of the software. Can this be downloaded for a Mac? BIOSCREEN-AT has been rated 3.0 out of 5 points. A total of 1 votes cast and 1 users reviewed the software.